Spirometry is a non-invasive method of lung function testing, which measures the volumetric flow rate of air inhaled and exhaled. 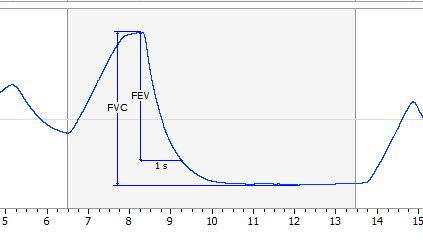 From this respiratory flow signal respiratory volume for a given time frame can be calculated using a simple integral. Most lung function tests involve fairly simple breathing tasks and are usually not uncomfortable. Breathing requirements for some test measurements may be normal and quiet. Other tests require forced inhalation or exhalation after a deep breath. Spirometry can be used for assessing lung conditions such as asthma, emphysema, pulmonary fibrosis and cystic fibrosis. 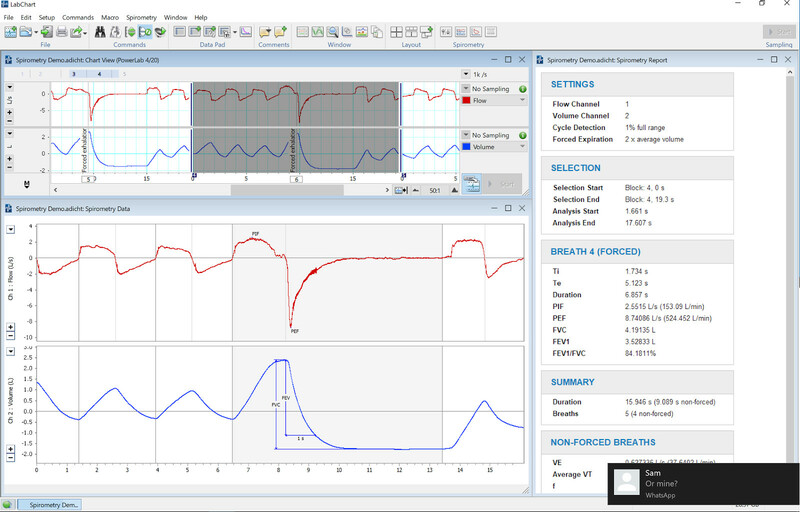 LabChart’s Spirometry extension contains a tool for calibrating your respiratory flow channel using a calibration syringe of known volume. 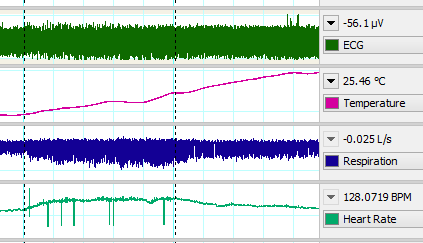 The Metabolic Module for LabChart is ideal for determining cardiorespiratory function and exercise physiology measurements. Thank you for your interest in Respiratory Flow. Please complete and submit the form below and an ADInstruments representative will aim to get in touch within one working day. If you’d like to speak to someone immediately, office contact information is available from the contact page.